Peruse our Frequently Asked Questions and learn more about the Fort Wayne Air Show! What is an air show? From supersonic-speed military jets to gravity-defying aerobatic acts to rocket-propelled busses, parachutists, and a host of on-the-ground displays and activities. A day at the air show is a fantastic and memorable experience, whether you’re an avid aviation fan or just love a great show. Tens of millions of spectators attend air shows every year, and the air show industry represents one of the very largest, if not the largest, outdoor professional sports in North America. Conveniently priced for FREE, families and individuals of all ages, this is one show you won’t want to miss. When is the air show? June 8-9, 2019. The gates are open 8 a.m. to 5 p.m. each day of the two-day show. May I fly into the air show? YES. The TFR will be in place from 11am-5pm Sat and Sun, plan to arrive and depart outside of these times. 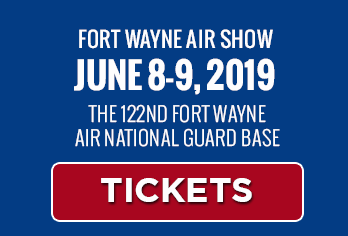 Due to allocation of ramp space to air show performers, static displays and guest parking, on the Air National Guard Ramp, it is recommended you contact Fort Wayne Aero Center in advance for parking instructions www.fwaerocenter.com 260-446-3456. What is the performer schedule? A list of performers is constantly updated on the performer page. Unfortunately, the schedule is not solidified until the morning of the air show to allow for security, safety, weather and operational concerns. Will the air show be televised? The air show will not be televised and unauthorized broadcast of the show is prohibited. To see all aspects of the air show, you need to attend. Yes, cameras and video recorders are allowed and encouraged to capture the memories. It takes more than a few drops of rain to stop the Fort Wayne Air Show! The air show will take place – rain or shine both Saturday and Sunday. Air show performers have high, low and flat routines to adapt to varying weather conditions. Schedules may be altered or delayed for periods of time if heavy rainfall occurs. All display aircraft, concessions and exhibits will be open regardless of weather. Please note that there are no refunds or rain checks for purchased tickets. What is the admission price for the Fort Wayne Air Show? General admission is FREE!! We want to showcase our local Air National Guard Base and all of the professional members of the 122nd Fighter Wing. Although admission is free, there are a limited number of premium seating options available for purchase while supply lasts. All parking will be in and around the Fort Wayne Airport. There will be a minimal amount of on-Base parking reserved for VIP ticket holders and Snake Pit ticket purchasers. May I bring a lawn chair or blanket to sit on? Seating is not included with general admission tickets so please feel free to bring a blanket or lawn chair to sit on. Are coolers and / or backpacks permitted? Due to security concerns, cooler and large bags are not permitted on the show site. Small coolers for the purpose of carrying doctor prescribed, life-preserving medications are permitted. All personal handbags, totes, diaper bags, etc., are subject to search at the entry gates. Refer to the Air Show Tips for more ideas on what to bring and what not to bring. For the safety of attendees and the animals, pets are not allowed on show grounds. Certified service animals are permitted. Refer to the Air Show Tips for more ideas on what to bring and what not to bring. Shaded areas are available in the Snakepit Club, The Premium Box Seats and the Bier Garten. For General Admission, limited shade may be found under the wings of static display aircraft and metal sunshades but it limited. Guests are encouraged to bring sunscreen, hats, sunglasses and portable, hand-held umbrellas for their comfort. Refer to the Air Show Tips for more ideas on what to bring and what not to bring. May I bring a tent, beach umbrella, or awning? Due to security and safety concerns, tents, beach umbrellas, awnings, and the like are not permitted on show grounds. Personal, hand-held umbrellas are permitted. Refer to the Air Show Tips for more ideas on what to bring and what not to bring. Are vegetarian or vegan food available? The master concessionaire makes every effort to ensure menu items are suitable for all guests. What food is commonly found at an air show? The air show will have a large variety of food available for purchase, including local barbeque, pizza, local cuisines, friendly food specialties, dessert specialties, and other concession services, all representation of the spirit and flavor of Fort Wayne. Will there be free water at the show? Yes, there will be water buffalos where guests can fill any water bottles or containers. Guests should bring a clear empty water bottle or container to use. There will also be beverages available for purchase. Are first aid facilities on-site? Yes, medical personnel will be on site and a first aid center will be open. What are recommended items to bring to the air show? Portable chairs, strollers, cameras, sunscreen, ear plugs, blankets, and handheld umbrellas are items air show veterans tend to pack. Refer to the Air Show Tips for more ideas on what to bring and what not to bring. What items are prohibited from being brought into the air show? 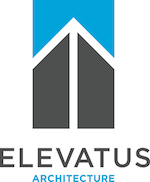 Please visit our directions page on this site.